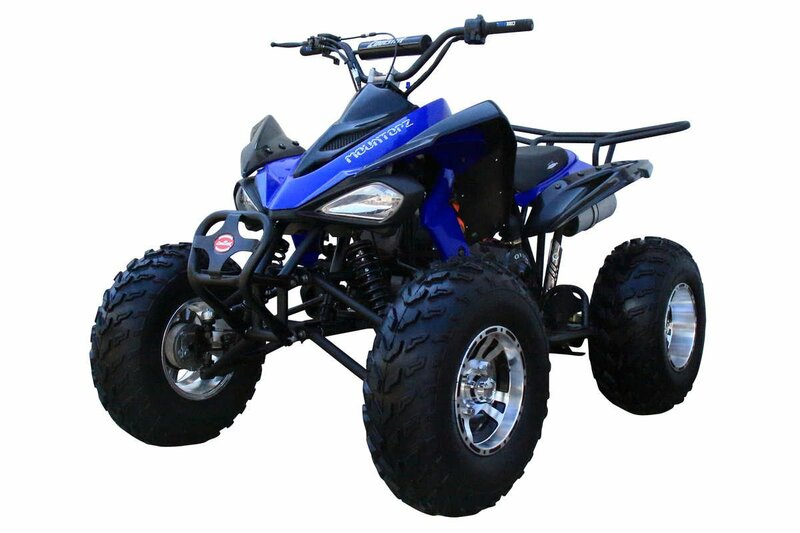 Front bumper protects ATV in the event of a frontal impact. Foot Guard protects rider from getting legs near the tires. High quality Muffler incorporates catalyst coating and muffler purifier device to reduce noise and air pollution. Available in Green, Black, and Blue, Orange, Metallic Red.